The Gold : Silver Ratio represents the number of ounces of silver it takes to purchase one ounce of gold. For example, if gold was trading at $950 and silver was priced at $12.50, the gold : silver ratio would be 76. 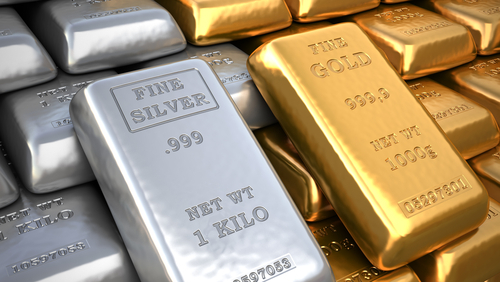 According to the latest Gold to Silver ratio charts, the amount of silver needed to buy an ounce of gold is at 84; steadily rising from the 10-year high of 82 in 2018. Gold per ounce is currently fluctuating around $1,270-1,275, while silver is at $15.00 an ounce.